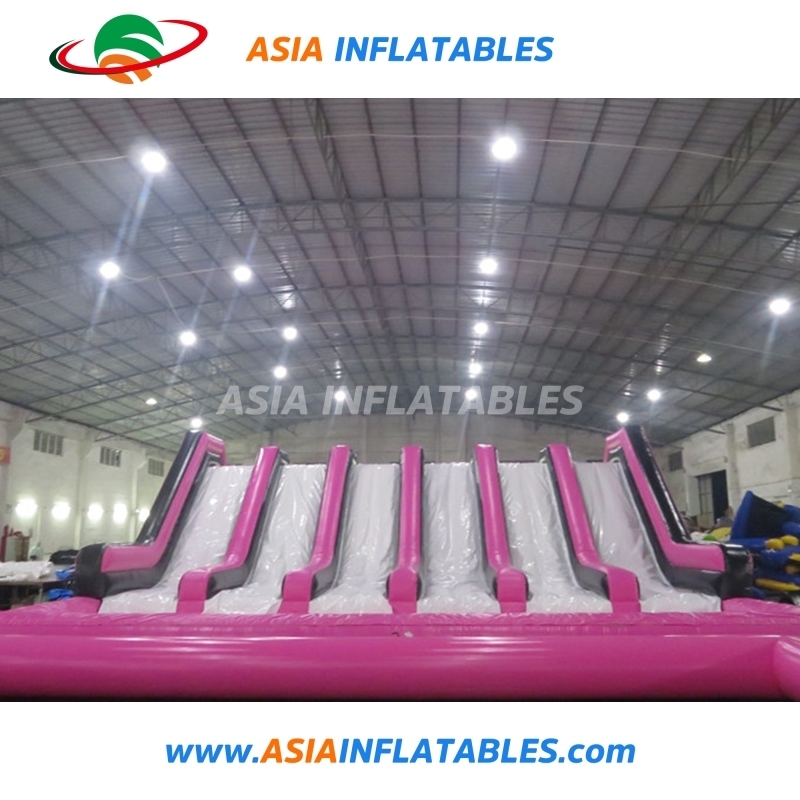 Inflatable obstacle course,Â is a large challenging and fun inflatable bouncy toy structure, it often contains many interesting features and sections like inflatable climbing walls, tunnels, hedgehog pop-ups, hurdles, beams, tires, etc.Â Each obstacle will give you a different challenge and fun, but please rest assured that you will enjoy all the obstacles. Â Material Commercial grade 0.55mm(1000D, 18 OZ) PVC tarpaulin (Plato) which has 3 layers:two PVC coated up and down with a strong net fabric inside, which is fire retardant, water-proof, Anti-UV, and anti-ruptured. Â Accessories Â Material patches,repair kits, glue, etc. Â Usage Â Rental business, parties, clubs, parks, outdoor entertainment, backyard fun, etc. Commercial grade 0.55mm(1000D, 18 OZ) PVC tarpaulin (Plato) which has 3 layers:two PVC coated up and down with a strong net fabric inside, which is fire retardant, water-proof, Anti-UV, and anti-ruptured. In order to protect the goods,we use the pvc bags package the products, and use the carton package the Â blowers. The Inflatable Products can be shipped by air, by sea or express delivery. The approximate shipping time is 5 working days maximum by air or 10-30 days by sea. 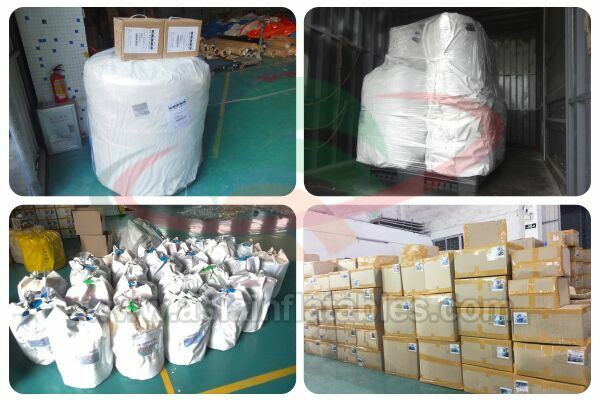 Please advise the products you need and your port of discharge, we will get shipping details from our shipping agent. A: Yes! You just need offer the logo by CDR, AI file to us. A: T/T(bank transfer) or Western union. A: All our products are strictly tested from the material incoming to shipment and the quality are reliable. However, for oversea orders, as it's not convenient to return the damaged products, we provide free repairing kit for customer. Normally, the reparing work is very easy. We bring in professional HD printer for product printing and the printing result can reach 1400 DPI. Besides, oil coating protection is added to resist UV, aging and scratching, which ensures a long-lasting company and brand profile. We have collected a team of top designers who are professional in using software like Rhino, Maya, CorelDRAW, KeyShot, Photoshop, CAD, 3Dmax, etc. We can design and produce any inflatable products to match your needs, your budget, your plan and your place. All you have to do is to catch an idea and we will do the rest for you! For more information, contact us! 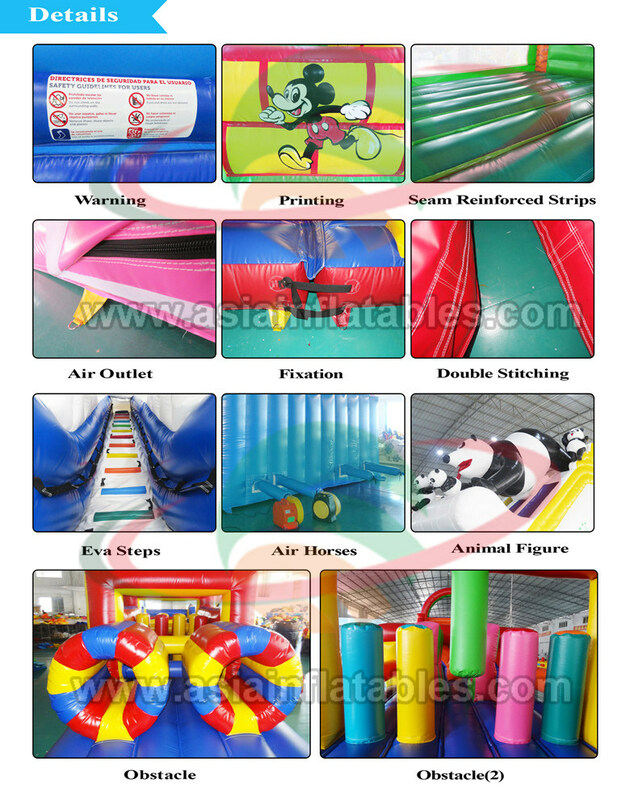 Asia Inflatables, Your Best Choice! You've come to the right place. 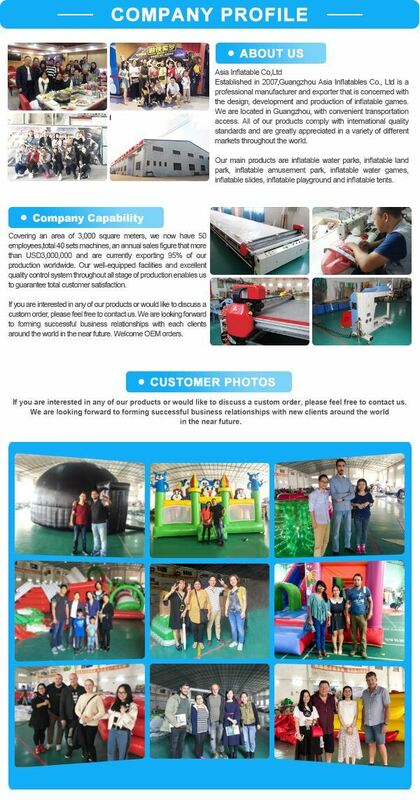 ASIA Inflatables Group is a Professional Inflatable Toys manufacturer in China, who has a team of top designers and efficient workforce and has been working hard since 2005.We takes pride in providing our clients with safe, fun and exciting products that will help you a lot with sale.Â If you are interested in any inflatable products, contact us for quick response! 24 hours online support available!